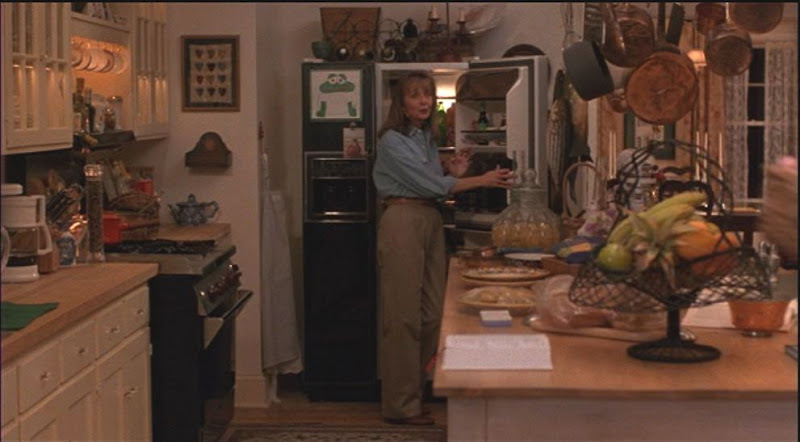 Last week for our Nancy Meyers mini series, we took a look at the home from It's Complicated, and you can check that out here. 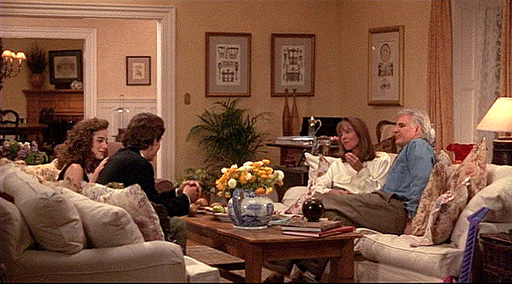 This weekend, we're going to look at the beautiful, traditional home from Father of the Bride! How many of you love this movie? I've gotta say, if it is not my absolute favorite, it is definitely in my top three. The first time I remember watching it was with my family in a cabin up North, and I think I was about eleven or so. 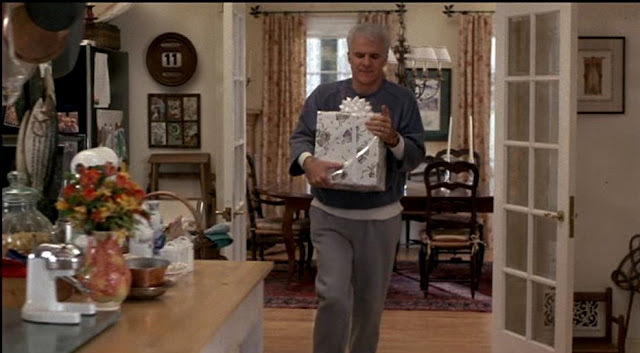 My dad told me that he loved Steve Martin's character in the movie, and I remember wondering to myself if my own daddy was going to act that way when it was time for me to get married. 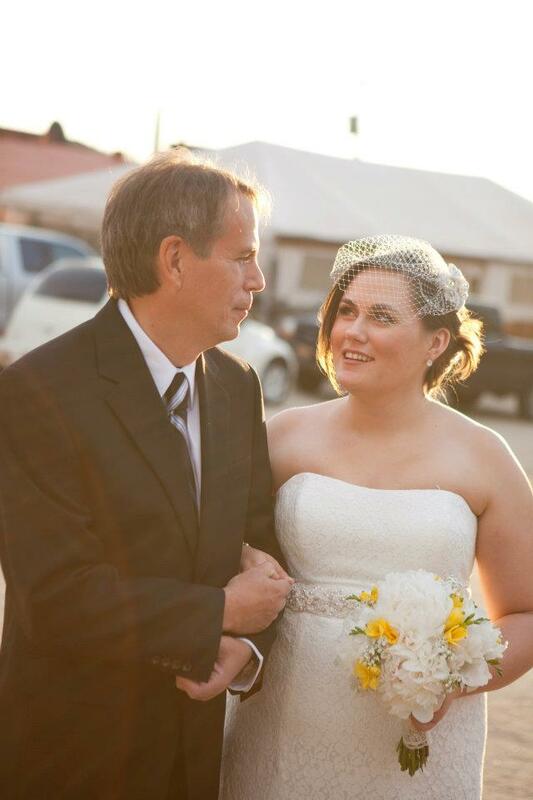 And then my wedding day came, and it was perfect for so many reasons -- but one of those reasons is because of my dad. 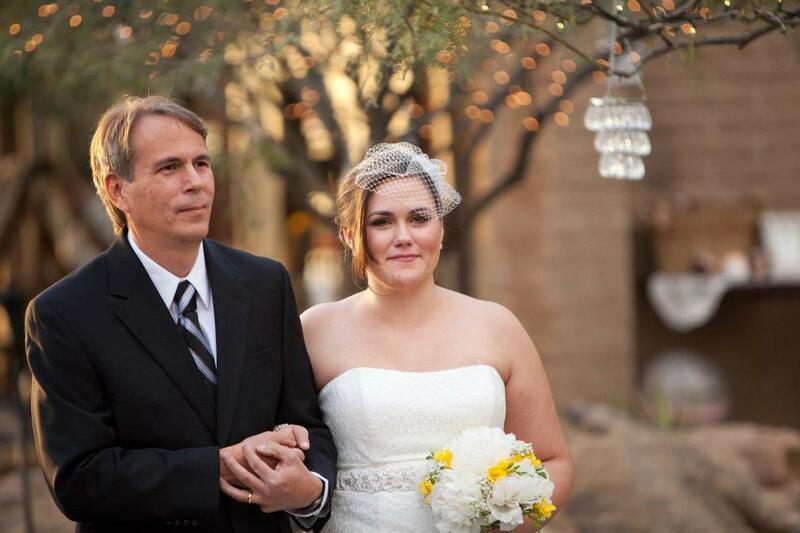 I could feel his love for me radiating from his smile, and our walk down the aisle is something I will never forget. 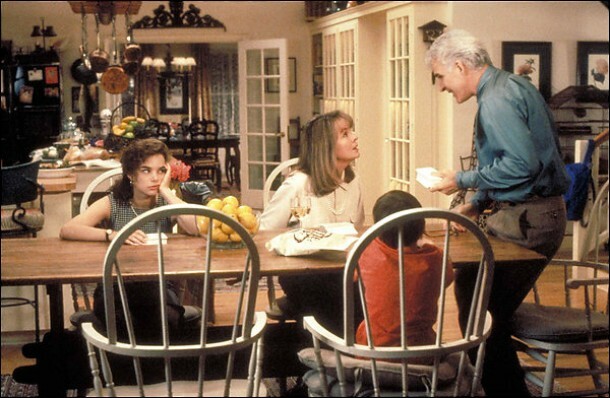 It comes as no surprise to me now, especially, that when I watch Father of the Bride, I get emotional. I cry, and it really just warms my heart and makes me want to call my daddy to tell him I love him. But bringing us back to the interior of the home from this favorite movie of mine, I am so thrilled to feature it today! It is so traditional, with hints of country French, and it is one of those interiors that just makes you feel right at home. What do you think? Do you like this traditional style? 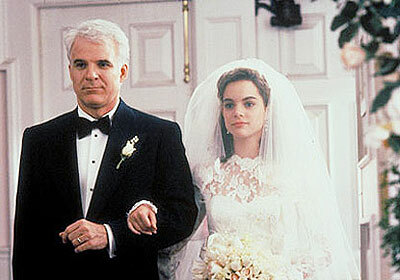 And do you love Father of the Bride as much as I do? 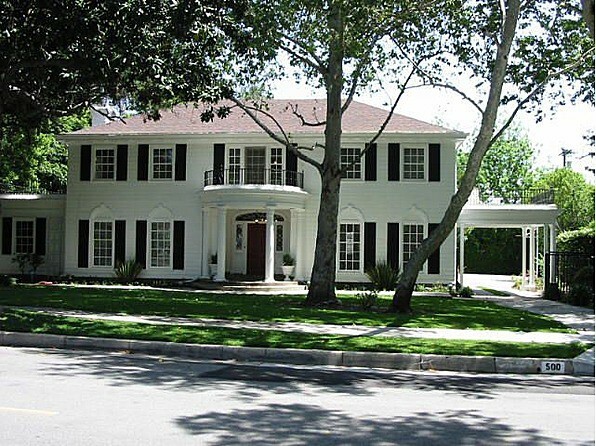 love this house - one of the few movie houses that made an impression on me!! Yes, same here! :-) Thanks for stopping by! I love this movie, too! Watched it for the 500th time on Saturday night. 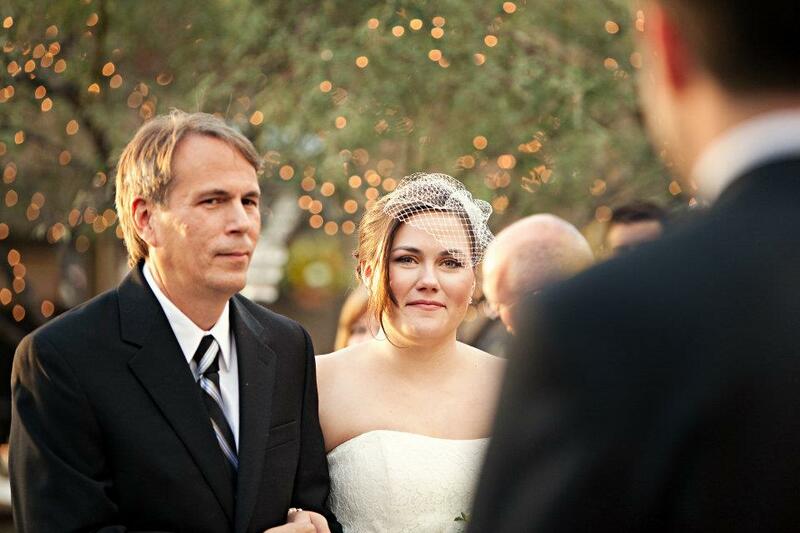 It's so sweet and it always makes me cry. I agree with you! There is a certain level of lived-in messiness, but it definitely looks well-kept and pretty!